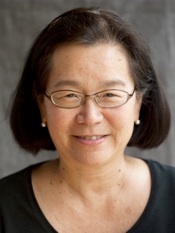 Sandra Park (MA, MFA, San Francisco State University) teaches English at Ohlone College in Fremont, California. Her fiction and poetry have appeared in the Iowa Review, New American Writing, St. Petersburg Review, Five Fingers Review, and anthologies such as Honolulu Stories. She has written newspaper articles on sleep, fashion, romance, depression, and humor. As a technical writer, she has contributed to environmental studies for the National Park Service and U.S. Geological Survey and communications for Silicon Valley start-ups. Born and raised in Hawaii, she has been accused of smiling too much, the damaging result of too much sun.